Integrating the components of enterprise information management into a project centric organization can be challenging, but it is essential for successfully using data as an asset. 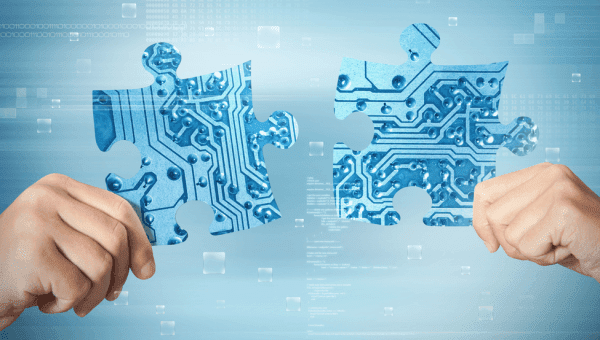 One the challenges with implementing Enterprise Information Management (EIM) is integrating and gaining traction in a project centric organization. For companies with a more formalized Project Management organization, the organization views corporate work through a project management lens. If the work doesn’t sound like a project, look like a project, smell like a project nor is funded like a project, then the organization will be skeptical of requests that don’t align to this paradigm. It is important to understand the overall project management structure and maturity, as well as how projects are initiated. After recognizing these factors in your organization, you will have a better understanding of where to have the discussion on integrating EIM and will have a better chance of success. First, let’s understand the level of project management structure and maturity. There are several ways that project management is incorporated into an organization’s structure. Functional: Many companies do not have a formal Project Management organization. They run projects directly within their existing functional organizational structures. For example, the marketing team might run their own projects, whereas sales runs their own projects and IT runs their own projects. Typically in this structure, projects are executed in an ad-hoc fashion and do not have a designated project manager. Projects are led by Functional Managers, who also are responsible for the project team, and who manage the project’s funding as part of their normal responsibilities. There is no formal project initiation process and decisions are dispersed throughout the company. Weak Matrix: In a weak matrix, someone in the functional organization may be designated as a part-time project manager. This person has the responsibility to manage a project while continuing to perform their regular jobs. This person may or may not have formal project management training. The organization begins to understand the value and need for project management but hasn’t fully committed to dedicating people to perform the work. Projects are still seen as part of the normal operational activities. Project funding is still managed by the functional manager, but the project manager will have specific responsibility to track how the project funds are spent. Strong Matrix: In a Strong Matrix environment, the functional organization designates a person to work on projects in a distinct full-time capacity. This person will have more formal project management training. The project manager’s authority and influence increases and has more direct control of the project finances. Projects are still managed and run within the functional organization, but now the organization supports projects has developed the concept of work that is completed in the context of a project. Projectized or Project Oriented Organization: When an organization size has grown, there is an increased need for projects. As the number of projects expands, a company may create a new organizational structure, called a Project Management Office (PMO). Project Managers no longer report to a functional manager and instead report to this new PMO structure. Functional organizations may provide the funding, but the PMO takes on the responsibility to manage the funds on behalf of the functional organizations and deliver on project objectives. One of the key benefits is this new project structure allows better coordination of cross-functional projects. With this cross-functional view, projects that affect the entire company become easier to fund and initiate. Now that we better understand the types of Project Management structures and project maturity, let’s talk about how projects are identified, selected and funded. I’ll focus this portion of the discussion for organizations that have a more formal PMO and are considers a Projectized or Project Oriented Organization. In this type of organization, there is usually a very small number of ways for a project to be initiated. As mentioned above, a PMO develops methods of how projects are managed. 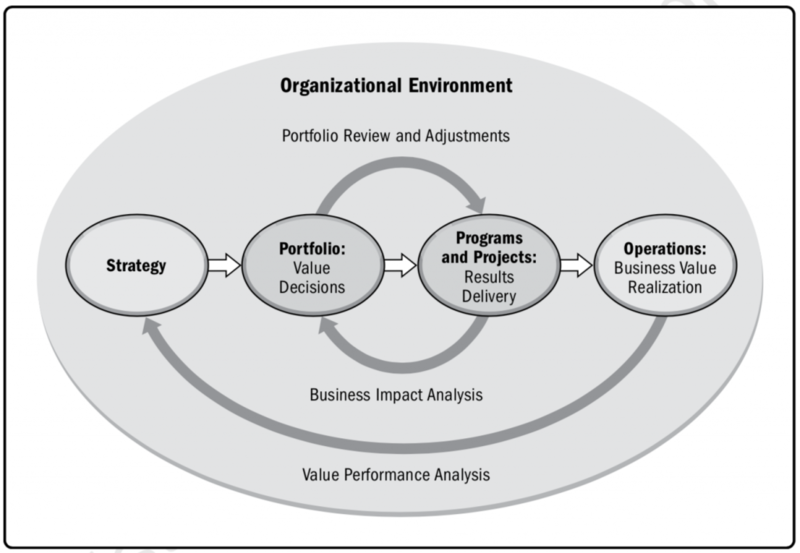 In addition, a PMO also has the responsibility to create a Portfolio Management process. For the purpose of this discussion, one of the key aspects of the Portfolio Management process is to define the process to request, review and approve projects to be funded and executed. These project requests come from various Functional Managers and Senior Leaders in the company. Senior leaders define the corporation’s multi-year strategic plan based on the companies’ mission and vision. (See figure 1). The strategic plan defines how a corporation will focus its resources to meet the company’s mission and vision. Even though similar companies may have a very similar mission and vision, they might have a completely different strategic plan. For example, two different banks may want to increase their number of customers yet devise two different strategies. Bank A may focus on building new stand-alone buildings whereas bank B might focus on attracting customers by opening branches within other businesses such as supermarkets or expanding an on-line presence. Once a company creates its strategic plans, each functional area begins to define business cases that describe how they will meet those strategic objections. A company typically has many more business cases and ideas than the company can afford to implement at one time. Therefore, the business cases are reviewed in the Portfolio Management process described above. The outputs of the portfolio process are approved Projects. If there are several related projects to solve a business problem, those projects may be grouped into a Program to allow simpler tracking and coordinated funding. In a projectized organization, the best way for EIM to make traction is to present their ideas in the form of business cases that align to the company’s overall strategic directions. By showing how EIM can contribute to the company’s overall strategy, it has a better chance of obtaining funding and support by the entire organization. This is the ideal case; to have EIM centric projects. If the organization isn’t ready to take on EIM centric projects, then another approach is to include specific elements as part of other projects. By influencing new projects being created, EIM concepts can be incorporated into the organization, albeit at a slower pace. Therefore, understanding project funding and initiation becomes important to delivering EIM value. Once a project is initially funded, it can become very difficult to add additional requirements such as EIM to an existing project. By being part of the portfolio process, you have a better opportunity to influence change and implement Data Governance, Data Quality, Metadata Management, Reference & Master Data and better support Data Warehouse & Business Intelligence before projects are started and funded. One approach is to position EIM as a group that must review projects with a focus on opportunities for improvement. For example, many security organizations (Information Security, or InfoSec) have become a required reviewer for every potential project. During project initiation, the security team reviews the proposed solution for security vulnerabilities. If the security team decides additional work is needed to ensure secure data or secure access, then this additional cost of including the security team and the executing security work is included in the overall project. The expense is considered to be a cost of doing business and the project cannot proceed without the security work included. This approach has been successful since security has been recognized and supported at the highest levels of the organization to be an essential component of successful project and organizational success. By positioning EIM in a similar way, EIM can implement changes in incrementally, on a per-project basis. This per-project approach may not implement EIM changes as quickly as a complete enterprise solution but does allow improvements to be incorporated gradually. Over time, the data management environment becomes more stable, the data is cleaner, and systems can be integrated faster with no errors. Also, management will recognize the benefits of selected data management components and continue to support further improvements. Then perhaps later, more coordinated enterprise level projects may be created and funded. It is important to understand the type of Project Management organization in your company and how decisions are made when initiating projects. Those organizations with a more formal project management structure help focus the decision-making process when it comes to implementing a company’s strategic direction. Therefore, by understanding the level of project management maturity, the defined Portfolio Management process, and learning to speak the PMO language, you will have more success in implementing EIM concepts into a company.